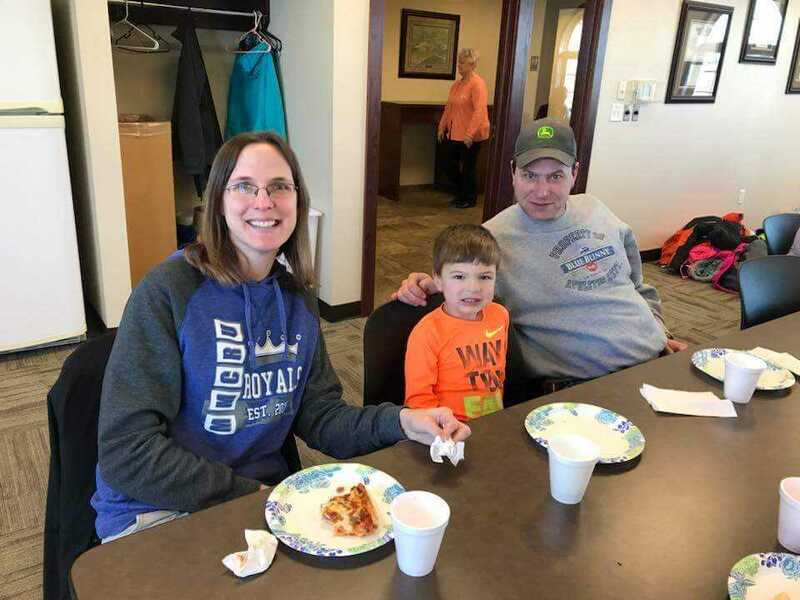 After learning about the letter P, Little Royals Preschool celebrated the end of the unit by enjoying pizza, with preschoolers and their parents, on Thursday, January 18. Pictured from left includes Stacey, Kenten and Matt Galles. 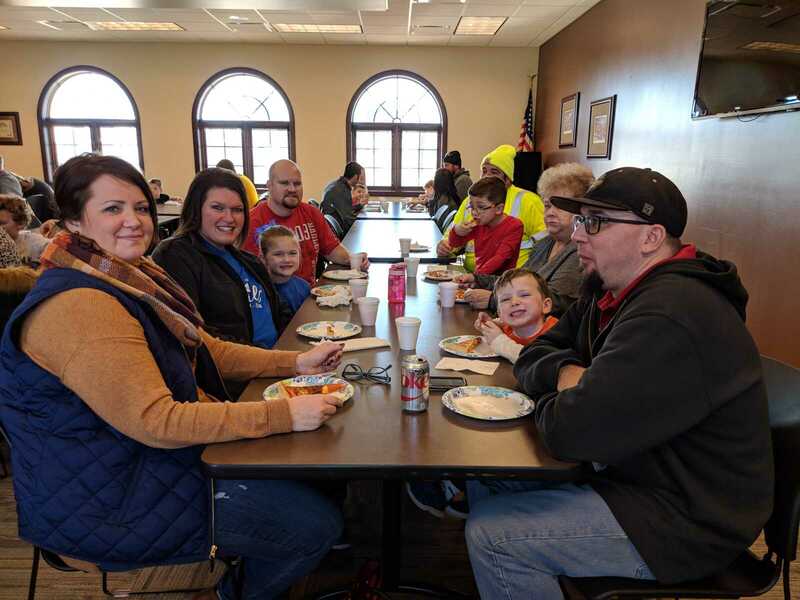 Pictured above includes, from left: Nate, Sarah, and Parker Bottjen, along with Lisa, Brad, and Brayden Konopasek. 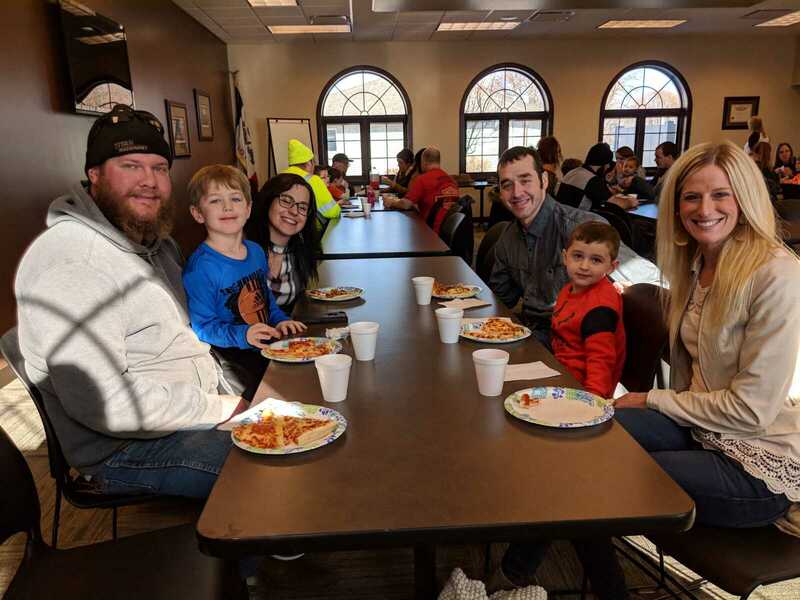 Pictured above includes, from left: Courtney, Josh, and Lincoln Hill, along with Cheri, Jason, and Presley Daum. 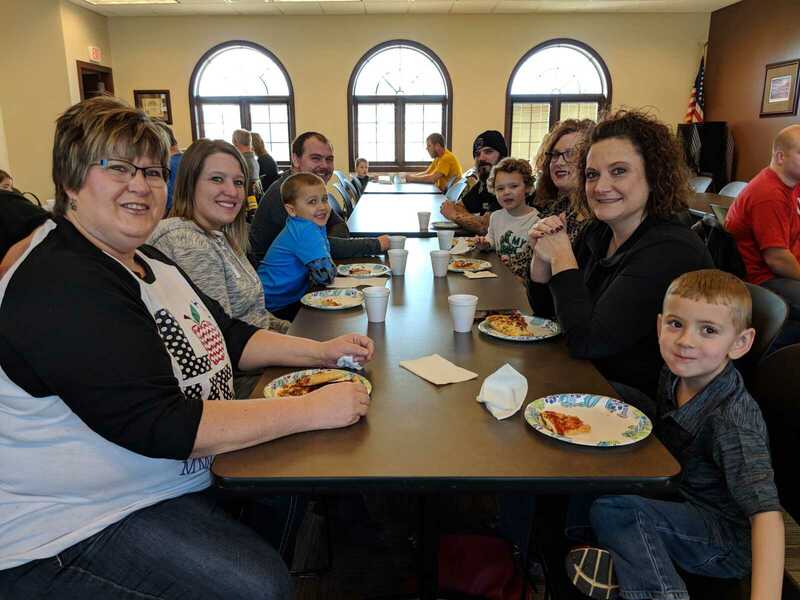 Pictured above includes, from left: Tracey Loutsch, Alicia, Alex ,and Levi Hoffman, along with Kholton Ruden and Stacey.